Porsche is now 70 and will celebrate its 70th anniversary on June 8, 2018, which marks the day when the first ever Porsche 356 ‘No. 1’ Roadster was registered as an automobile. The 356 is one of the most legendary sportscars to be made ever with a tiny engine. 70 years ago, at the time of World War II, a new automotive company named Porsche entered the auto world. Ferdinand Porsche, the man responsible for the Volkswagen Beetle, started his own motor company and introduced a new trend in the world. German automobile manufacturer Porsche AG is now 70 and will celebrate its 70th anniversary on June 8, 2018, which marks the day when the first ever Porsche 356 ‘No. 1’ Roadster was registered as an automobile. Porsche 356 is regarded as a legendary sportscar to be made ever with a tiny engine. The legacy of the company continued with other models like the 550, and obviously the Porsche 911. As per rumours, to mark its 70th anniversary, the company might launch its production version of Mission E Sedan, which will be the first fully electric production car by Porsche. Way back in 1900, an all-electric and all-wheel-drive motor was designed by Dr. Ferdinand with four individual hub motors. Named as the Lohner-Porsche, it gave rise to hybrid versions which had a mixture of electric motors and conventional petrol engines. The Porsche 356 gave birth to the Porsche 911. Then came the Cayenne, which gave the term SUV a whole new meaning with both luxury and performance. 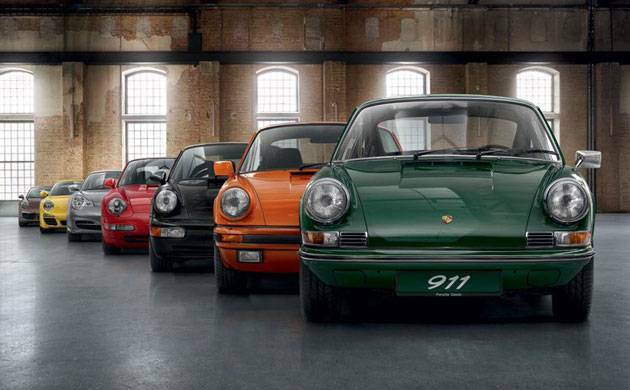 Porsche has planned a line-up of activities for its 70th anniversary. From a display of card at the famous Petersen Museum in Los Angeles to special events in Zuffenhausen and California, the automobile giant has big plans to celebrate its 70 th birthday with great pomp and show.